Do you ever feel strange? A little out of place? Like something is off? As if the world as we know it doesn’t make too much sense? What if you secretly were a Buddha? What if you were a secret agent sent from the center of the universe to save all beings from their delusions and suffering? Do you feel ever as though there is a mysterious super hero on the verge of awakening inside of you, just waiting for the right signal, the right code word, a subtle breeze of intergalactic dark matter to bring you back from amnesia? If such speculation resonates with you in the slightest, please read on. The fate of our universe may depend on it. 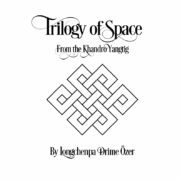 The teachings of Dzogchen, or Great Perfection, which spread throughout greater Tibet during the past millennium, explain in great detail how we are all secretly Buddhas. 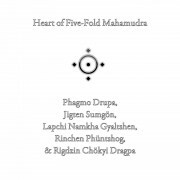 Buddhahood in not only something we metaphorically hold in our hands, it is secretly hidden within the entire spectrum of our outer and inner realities. How can this be so? Aren’t we just ordinary humans bustling around on this blue planet doing our nine to fives, running around on our streets, buying things from our stores, talking and walking the dance of 21st century earthly inhabitants? Of course. You are right. We all know this is what is going on. The thing is, what if this is all going on, but is secretly a dream? What if we are having an inception moment in reality? What if the top is still spinning? If we are secretly sleeping Buddhas, how do we awaken? How can we get our powers back? There are many methods given in traditional Buddhist teachings as well as in many other spiritual traditions. 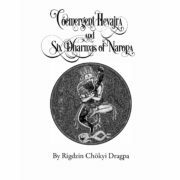 Cultivating love and compassion towards the universe and its inhabitants is a highly regarded method that we should never dispense of. 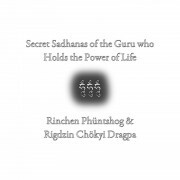 Additionally, cultivating the wish to free our minds from confusion in order to save all beings in the universe from suffering is the tried and true method of the heroes of enlightenment. With such intentions as the basis of our quest there are profound techniques we can use to speed our journey. 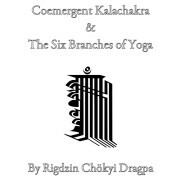 In the Dzogchen teachings there are the profound techniques of Trechö (Cutting Through) the collections of all conceptual thoughts into the naked uncontrived nature of reality, Khorde Rushen (Separating Samsara and Nirvana), and Thögal, the (Direct Transcendence) of dualistic impure vision through opening up the gateways of primordial wisdom to enter into the ultimate infinite luminous indestructible sphere of true reality. 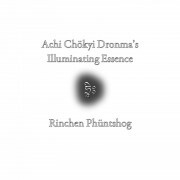 Through such methods, we can not only realize the fundamental nature of our reality, but we can come to fully see and realize the hidden reality of enlightenment that is secretly present in this very lifetime. What follows is a translation of the first section of a very profound text. 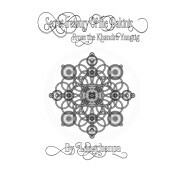 It is called Pointing Out Illuminating Awareness: The Buddha Held in Your Hands Tantra of Three Lines. 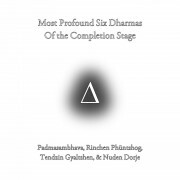 The first section is the tantra of three lines, a teaching that the primordial Buddha of the universe gave to his inseparable retinue of reality. It is ultimately a message from the mind of the heart of reality to all the beings of reality. The message is that we are all inseparable Buddhas. While it is easy to say such things, our patterns of looking at reality through the confused lens of bias, afflictive emotions, and self-grasping make it extremely difficult to realize such a message. 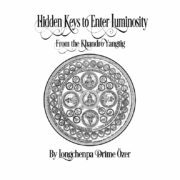 The teachings then begin to point out just how Buddhahood exists within our experience of reality in this physical human body. It shows how we become temporary blinded by our ignorance of this as well. What follows are just the introductory sections of this teaching. 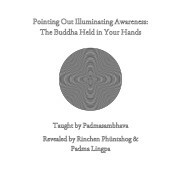 A translation of the entire text is available as Pointing Out Illuminating Awareness: The Buddha Held in Your Hands in the bookstore. 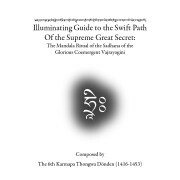 The text was initially composed by Padmasambhava and was later revealed by two different treasure discoverers, Padma Lingpa (1450-1521) and Rinchen Phüntshog (1509-1557). What follows is just the introductory sections from Rinchen Phüntshog’s version. 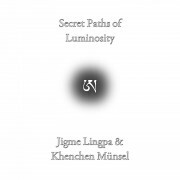 The entire text in the bookstore includes a translation Rinchen Phüntshog’s revelation with notes on the additional details contained in Padma Lingpa’s rendition. 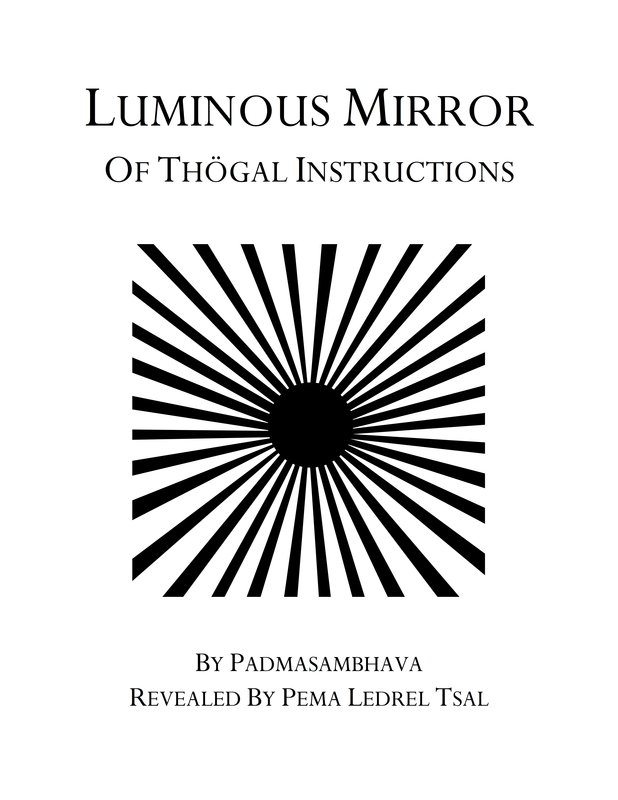 The rest of the text presents a wide spectrum of methods and meditations that with the guidance of a qualified teacher we can utilize to see how Buddhahood is hidden in our body, the vision of reality that we outwardly see, our senses, and the underlying infinite potential of the energy of awareness that transcends life and death. 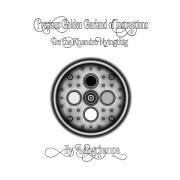 These pointing out instructions use a wide variety of techniques and supportive materials including: crystals, mirrors, sunlight, reflections in water, rivers, blowing dust, gazing at vajra-chains, pictures of peacock feathers, meditating on the sounds of reality, contemplations of life, death, and beyond, and the arising of the appearances of the peaceful and wrathful Buddhas. 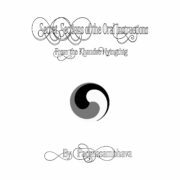 Such pointing out instructions are key supports to realizing the Buddha within us and are designed to enhance our understanding of the Dzogchen practices of cutting through and direct transcendence. 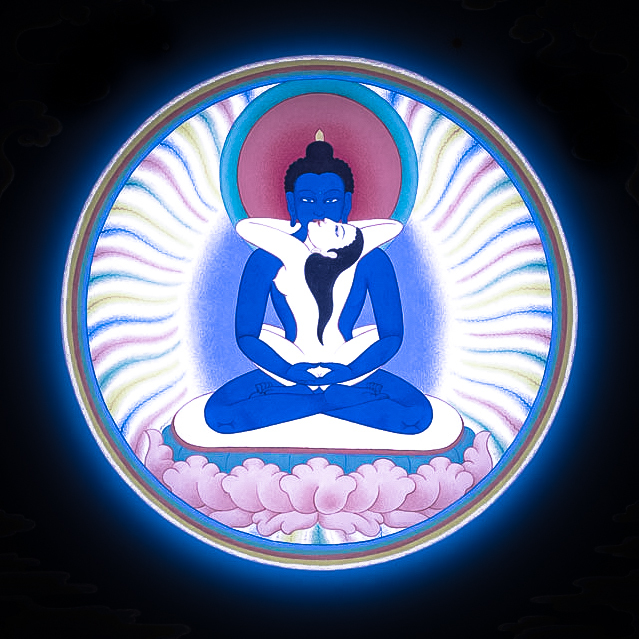 The ultimate goal of these teachings is to catalyze our awakening unto the inherent Buddhahood hidden within each one of us so that we might help all other beings of the universe do the same, fulfilling the deepest wishes of the primordial Buddha of the universe hidden deep in all of our minds.